It is not much of a surprise to anyone who has been to our house that we like Ikea, there are many things that I love about their designs most notably their space saving designs. Also we LOVE their meatballs and have many of their bags around the house used for various things. Recently we found out that they have stopped producing their small blue bags, which is annoying as I find them very useful and my Nan uses one with her crutches to help her carry things like clothes washing etc. 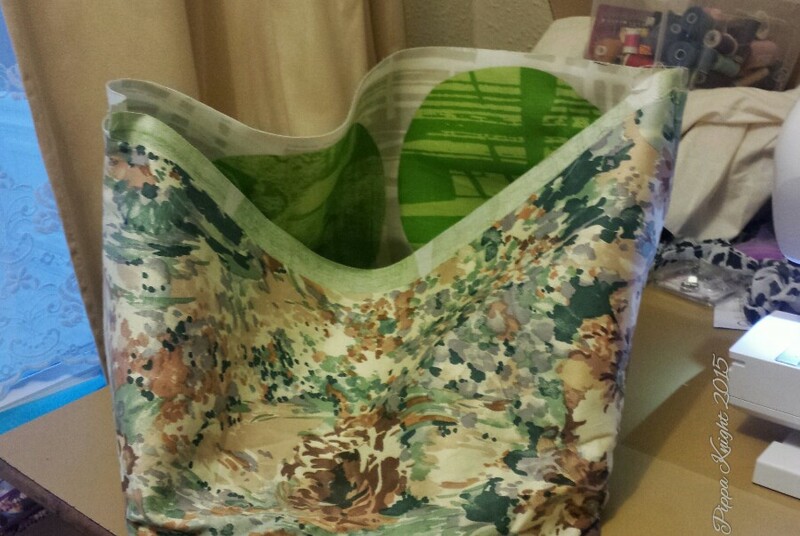 After Sheila posted about her tutorial on how to make an Ikea bag recently this reminded me that I was supposed to be making on for my Nan for Christmas with a slightly wider base so it can take folded sheets easily. 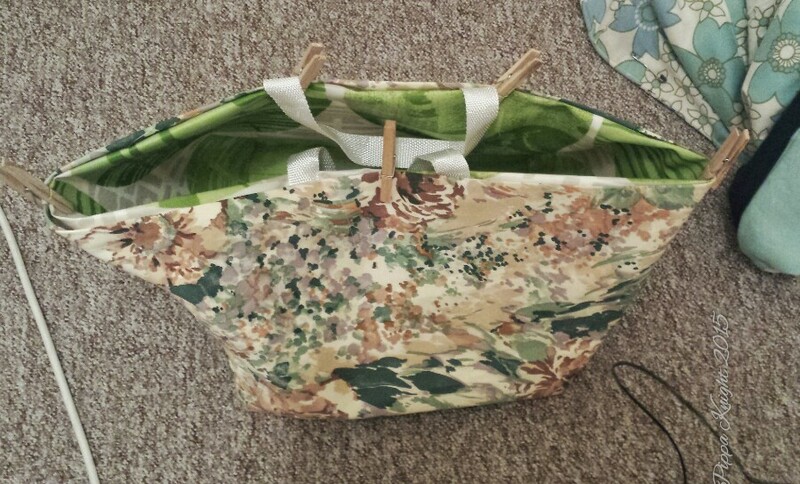 Unfortunately the oilcloth that I have is not the greatest pattern so I modified the method to make a bag lined with oil cloth. I will show you the modifications I used when sewing the bag up but you will need to refer to Sheila’s Tutorial for instructions on the beginning. First Modification is obviously you will need two versions of the bag, one in the Outer fabric and one in the Inner fabric, just cut them out to the same size, sew up and square off the corners. I ended up having to turn the inner (oilcloth) bag down more to make them the same height, but I feel this ended up giving the bag a bit more stiffness. I attached the handles after folding down the excess. I worked out where the centre of each side was and attached the strapping 2.5″ either side of this point. 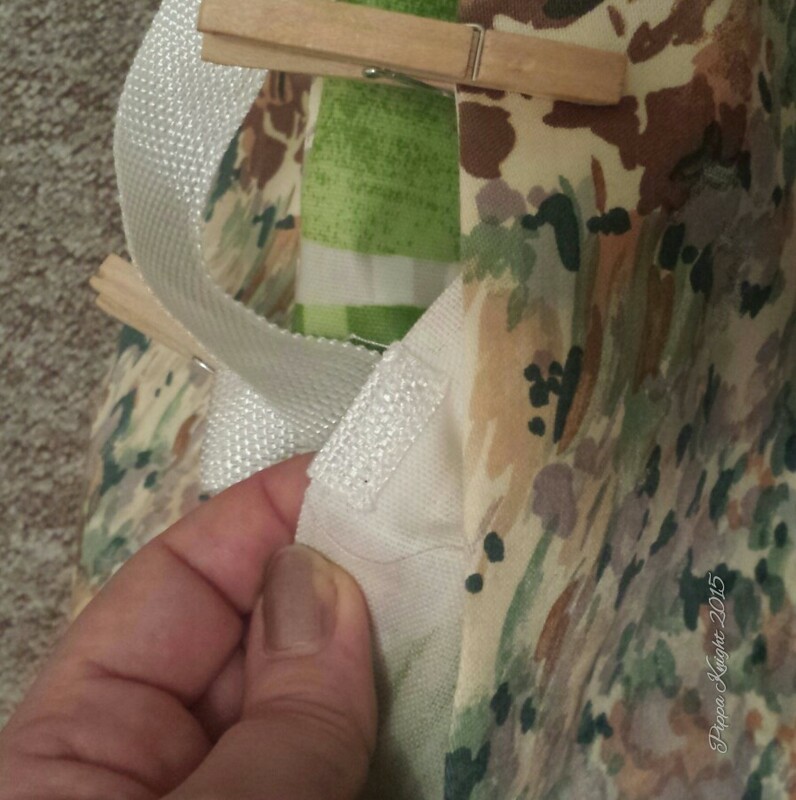 Sewing the webbing to the back side of the oilcloth and reinforcing the join then turning the cloth down to the pre determined length and stitched a few rows of stitching over the strapping. 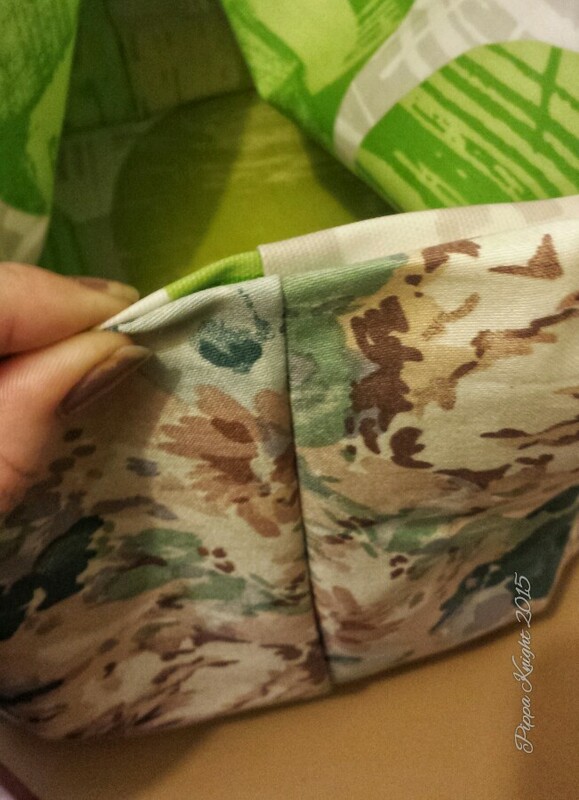 Once the straps were attached I top stitched around the whole bag to join both layers together. 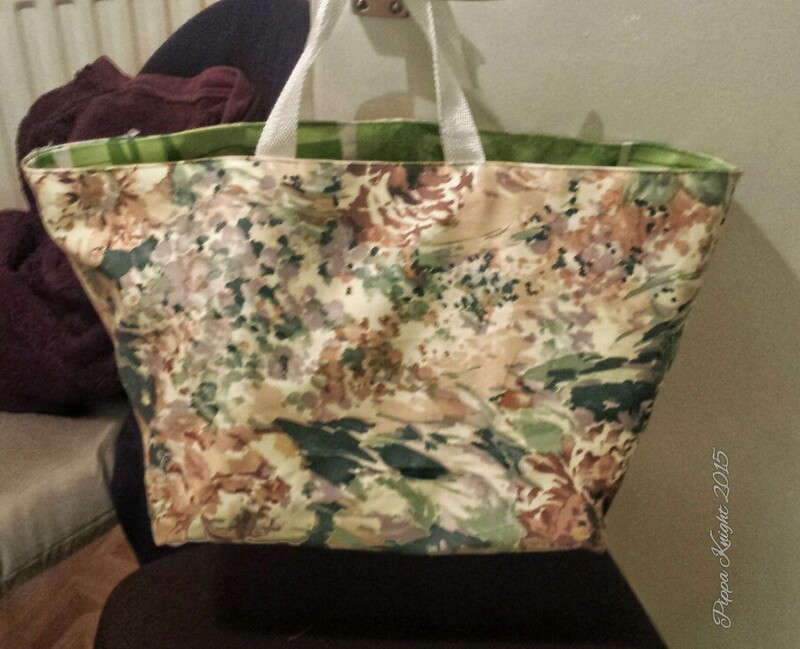 I sewed this with the outer fabric layer on the top and the oilcloth on the bottom and didn’t have any issue sewing this on a normal sewing machine with out any modifications at all. Just don’t forget to up your stitch length a bit. Even though this bag is going to make its way to my Nan as a Christmas present it might be sat next to me currently holding my knitting. I think a few more of these might have to be made in the new year.